The population was 248 at the 2010 census. The town is named for nearby Bear Lake. On the 14th of March, 1870, the first settlers came into this valley, responding to a call from the general authorities of the Church of Jesus Crist of Latter-day Saints. Coming from St. Charles, Idaho, where: Randolph H. Stewart, Robert and Charles Pope, Edwin T. Pope, William Pearce and others. One week later, March 21st, Apostle Charles C. Rich and Company arrived. They located the town using a rope as a surveyors chain, and laid it off in 10 acres to a block with 8 lots in each. 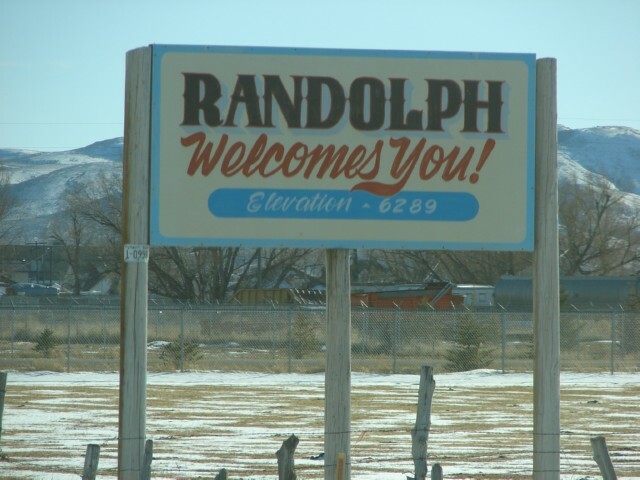 The town was named Randolph, in honor of it’s first bishop, Randolph H. Stewart. Many others soon came, including: Levi O. Pead, William Howard Jr., Mrs. Agnes Smith, Samuel Henderson, Alfred G. and William Rex, John Cameron, Samuel Brough, William Tyson and Archibald McKinnon, Sr. They continued to come with a spirit of hope, not seeking wealth, but responding to a call wanting only a peaceful, progressive way of life. To a great extent, the town has revolved around the church. A log building was completed, serving as a place of worship, school house and amusement center. However, an adobe building soon replaced this small structure as the men became tired of having to stand outside waiting a turn to dance. The spring of 1871 found Randolph a thriving town. The tall sage was being grubbed, making more space for the lush, wild prarie grass to grow. Canals and ditches were surveyed and dug. Timber in near-by canyons, water and grazing were abundant. Streams abounded with fish and the wild game was plentiful. A post office, store, blacksmith and saw mill were soon established. In August, 1883, President John Taylor visited Randolph for a conference. After the services were dismissed, and many had departed, President Taylor called them back. Raising his right hand he said, “In the name of Jesus Christ, I not only bless you, but I bless this land for your sustenance.” Many significant changes were made during the next century. Sacrifice, hard work and united effort built the beautiful brick tabernacle. With the coming of electricity, modern communications and transportation, progress has been made. Powerful machinery now subdues the land producing bounteous hay and grain crops. Modern schools have long replaced the first small one-room building. A few of the family names which are woven into the early settling of Randolph not before mentioned are: Brown, Corless, Evans, Gray, Gunn, Hatch, Hoffman, Jackson, Jacobson, Johnson, Jones, Kennedy, Buir, Nicholls, Norris, Peart, Smith, Snowball, South, Spencer, Telford, Wilson and others. Fond memories were relived at the Randolph Centennial Celebration in 1970. Hundreds have responded to missionary calls throughout the world, as well as military service to our country. Many brave souls have paid the supreme sacrifice for the preservation of our freedom. Still thrives essential goodness in the hearts of it’s people. Through triumphs and discouragements have come significant contributions of work, faith and human compassion which compells us to continually move forward. 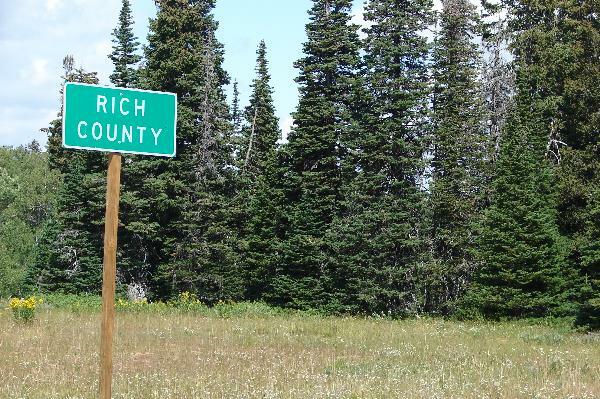 Randolph, Utah is the County seat of Rich County.